Barcode labels are a critical mechanism for maintaining compliance, ensuring brand consistency, improving operational efficiency, and supporting business growth. They are the final link between your company and key stakeholders including customers and regulators. It is critical that labels you utilize are readable and scannable throughout the operation. Purchasing genuine Zebra supplies means you have access to a large selection of quality, pre-tested, supplies manufactured by a thermal industry expert. Zebra uses consistent processes and materials. Materials are selected to ensure we deliver consistent high-quality products. Testing includes print quality, chemical resistance, adhesive strength and printer wear and tear. Expertise in converting thermal media. 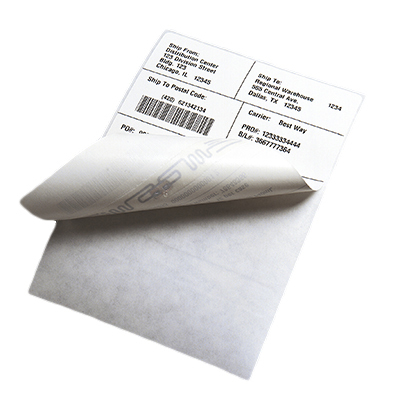 Zebra is one of the largest thermal label convertors in North America. We use inks, varnishes, tooling, equipment and inspection techniques specifically suited for the special requirements of thermal materials. Zebra can custom-manufacture supplies that meet the needs of most applications, whether a specialty material, size, configuration or pre-print is needed.